Our friend Steve Sansweet has announced that he will be attending Star Wars Celebration Europe and he will be bringing The Rancho Obi-Wan Experience with him. For all the details please continue reading. 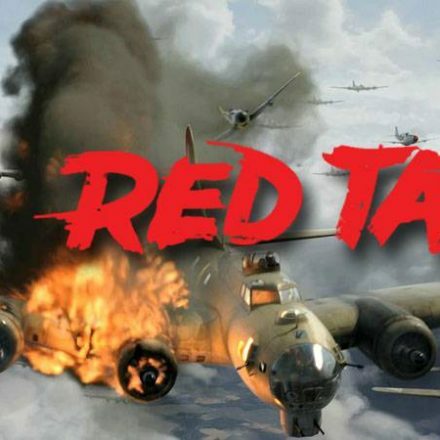 are coming to Celebration Europe! 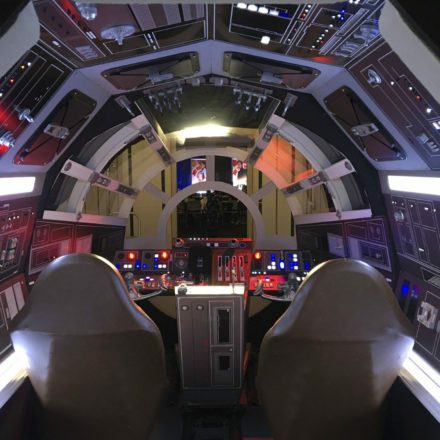 The Rancho Obi-Wan Experience, a specially-selected group of Star Wars memorabilia from the world’s largest private collection, will be part of the activities at Star Wars Celebration Europe in Essen, Germany July 26th to 28th. 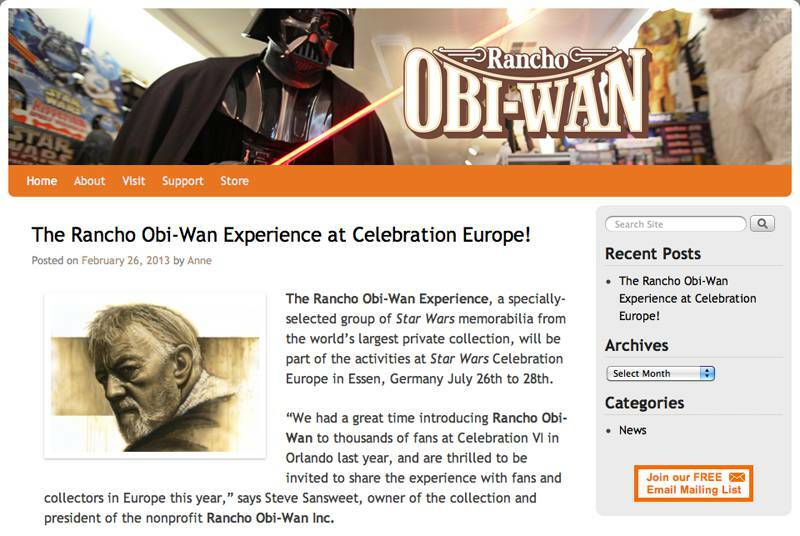 “We had a great time introducing Rancho Obi-Wan to thousands of fans at Celebration VI in Orlando last year, and are thrilled to be invited to share the experience with fans and collectors in Europe this year,” says Steve Sansweet, owner of the collection and president of the nonprofit Rancho Obi-Wan Inc. in northern California, a 9,000 square foot museum. Fans at Celebration Europe will be able to see this first-time exhibition of Rancho Obi-Wan outside of the United States, as well as meet Steve Sansweet, the world-renowned Star Wars fan and author behind the collection. 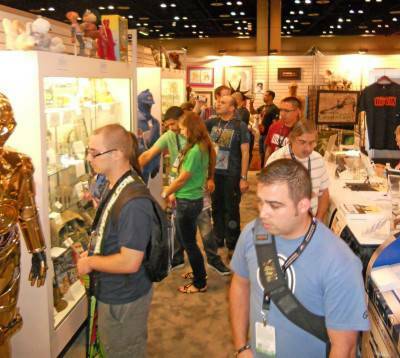 Sansweet will be present in the Rancho Obi-Wan exhibit much of the time to greet fans. Rancho Obi-Wan will have a limited amount of logo souvenir merchandise available as well as some of Sansweet’s 16 Star Wars books. Steve will be happy to sign anything appropriate that fans bring to the show. There also will be giveaways and special prize drawings in the 690 square-foot booth (64m2). Attendees also will be able to purchase Rancho Obi-Wan memberships and get their personalized membership kits on site, as well as get full information about guided tours of the museum. See the official announcement on StarWars.com. 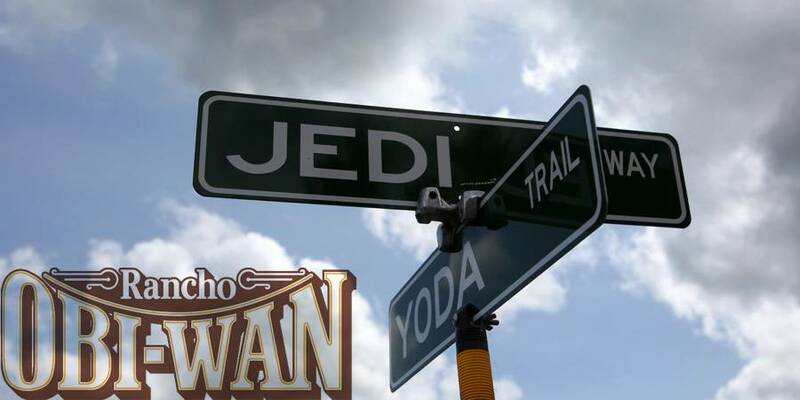 The Rancho Obi-Wan team is also excited to announce the new Rancho Obi-Wan Website! With our dynamic redesign, you will be seeing content that is up-to-date and easily accessible. 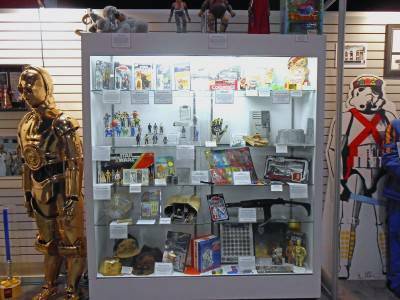 Rancho Obi-Wan, first established in 1998, was incorporated in 2011 as a registered 501(c)(3) non-profit organization whose specific purpose is to serve the public through the collection, conservation, exhibition and interpretation of Star Wars memorabilia and artifacts, using the collection to provide meaningful educational, aesthetic, intellectual and cultural experiences for a wide array of audiences and to carry on other charitable and educational activities associated with this goal. Money raised for or donated to Rancho Obi-Wan is used for maintenance, insurance, security, professional services, public outreach and related activities; none is used for acquisitions.